View Marilyn's videos at the bottom of the page. 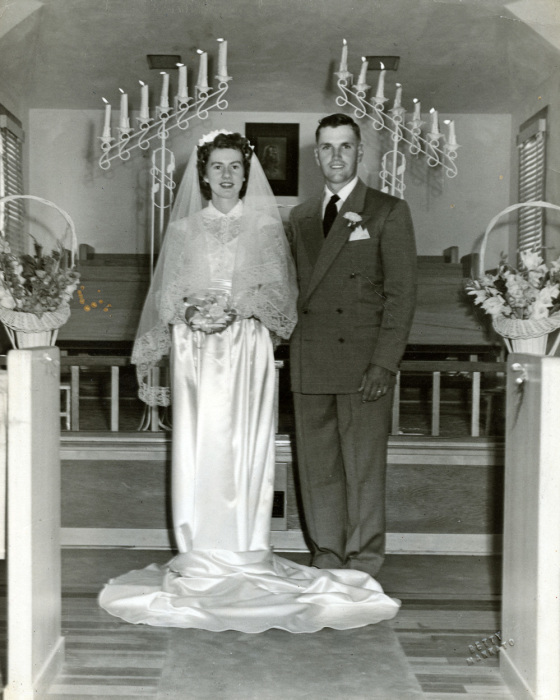 Marilyn Joyce Jeffery, the daughter of Myrtle Eva (Rux) and Roy E. Brandon, was born February 6, 1932 at Scottsbluff, Nebraska. 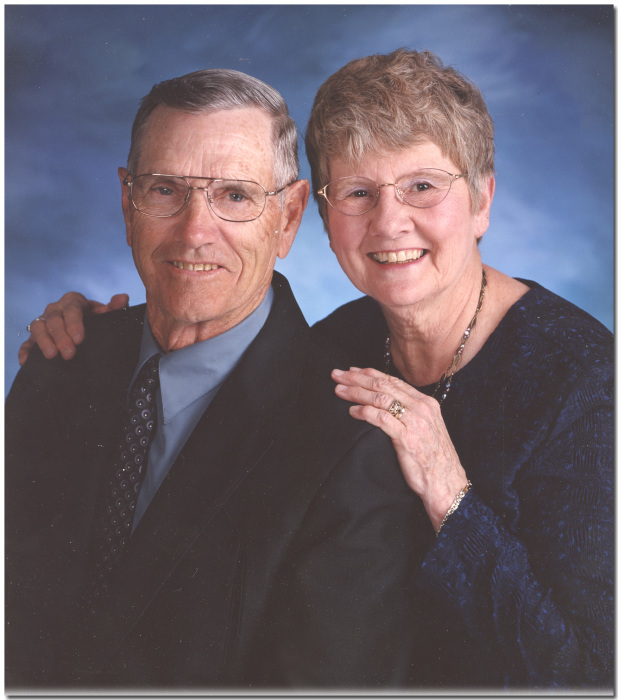 She departed this life unexpectedly at her home Friday, February 1, 2019 at Northbranch, Kansas at the age of 86 years, 11 months and 25 days. A lifelong resident of Jewell County, Marilyn received her formal education attending the Burr Oak schools, graduating with the class of 1950. On July 27, 1952, Marilyn was united in marriage with her childhood sweetheart, Curtis W. Jeffery, at the Northbranch Friends Church. They made their home together on the farm south of Northbranch, where this union was blessed with three children, Coni, Cregg and Todd. In 1996, Marilyn and Curtis moved into Northbranch to live. Marilyn was a dedicated and active member of the Friends Church. Her love and enthusiasm for family, friends and the Lord was immeasurable. Marilyn possessed a number of interests and activities including cross stitching, reading and writing poetry. She was an avid sports fan and greatly enjoyed watching all types of ballgames. Her personality was pervaded by a quick and sincere smile, and positive greeting to everyone she met. She was deeply compassionate and committed to never knowing a stranger. For years, she volunteered her time with the Jewell County Hospital. Preceding her in death were her parents, and husband, Curtis, on June 24, 2011..
Left to treasure her memory are her daughter and son-in-law, Coni and Clay Shulda of Cuba, Kansas, and family: Brian and Jessica Shulda of Mankato Kansas and children, Brecken, Keiran, Emelyn and Kannon; Tiffany Sasser of Belleville, Kansas and children, Brice, Kyla and Madison; and Pete and Haley Gile of Scandia, Kansas and children Bridger and Ryder. Son and daughter-in-law, Cregg and Belinda Jeffery of Mankato, Kansas and family: Aaron and Nicole Zadina of Greensburg, Kansas and children, Thayer, Palmer and Lohgan; Neal and Brittany Jeffery of Wichita, Kansas and Bethany Jeffery of Mankato, ; Kansas, son and daughter-in-law, Todd and Gina Jeffery of Burr Oak, Kansas and family: Devin and Regan Rizzo of Salina, Kansas; Aaron and Kelli Swanson of Scandia, Kansas and Brady Jeffery of Burr Oak, Kansas. Funeral services were Tuesday 10:30 a.m., February 5, 2019 at the Northbranch Friends Church with the Rev. Jon Harkness officiating. Interment was at the Northbranch Cemetery. Memorials are suggested to the Northbranch Friends Church or the Northbranch Cemetery Fund.